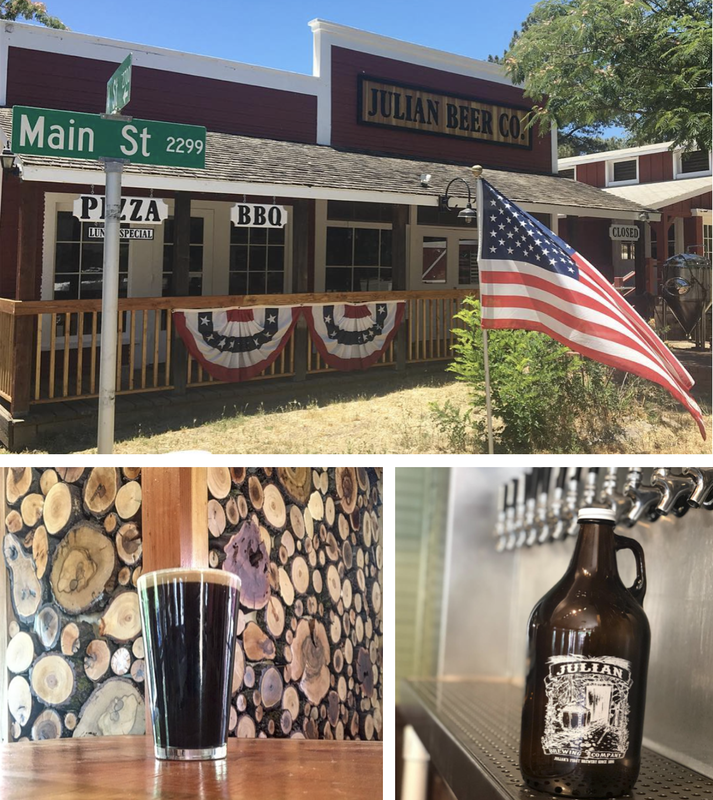 Now open in the 1860s-era building that last housed Bailey Barbecue in the historic San Diego East County community of Julian is Julian Beer Company, a family-run brewpub and BBQ restaurant operated by a founding member of Pizza Port Brewing and The Lost Abbey. Bailey Wood-Fired BBQ shuttered on Memorial Day weekend in 2016, effectively ending the inhouse brewing operations of Julian Brewing Company, which was founded by San Diego brewing veterans Vince Marsaglia (Pizza Port/Port Brewing/The Lost Abbey) and Tom Nickel (O'Brien's Pub, Nickel Beer Company) in 2012. After testing the market and trying to sell the former Bailey BBQ business, Marsaglia and his two sons decided to revamp the space entirely, transforming it into Julian Beer Company, which soft opened during Independence Day week earlier this month. THANK YOU to everyone who walked through our doors yesterday for our soft opening. We had an incredible time serving everyone and watching the whole shin-dig go down. For those of you who couldn't make it we look forward to seeing you in the future. We will resume normal business hours starting tomorrow. Cheers! ****thank you to the friends and family who helped make it happen. Julian Beer Company has a five-barrel brewing system onsite that will churn out farmhouse-style, Old World ales, most fermented with local yeast produced by White Labs. Long-tenured Pizza Port brewer Matt Pittman will be in charge of creating an array of signature beers and experimental varieties, including Belgians, saisons and lambics that will be available at the bar's 18 taps. Julian Beer Company also offers a food menu centered around house-smoked meats that are cooked on a hand-stoked smoker with local apple wood. There is also a selection of sandwiches and pizzas. Julian Beer Company is located at 2315 Main Street in downtown Julian. For more information, visit julianbeercompany.com.